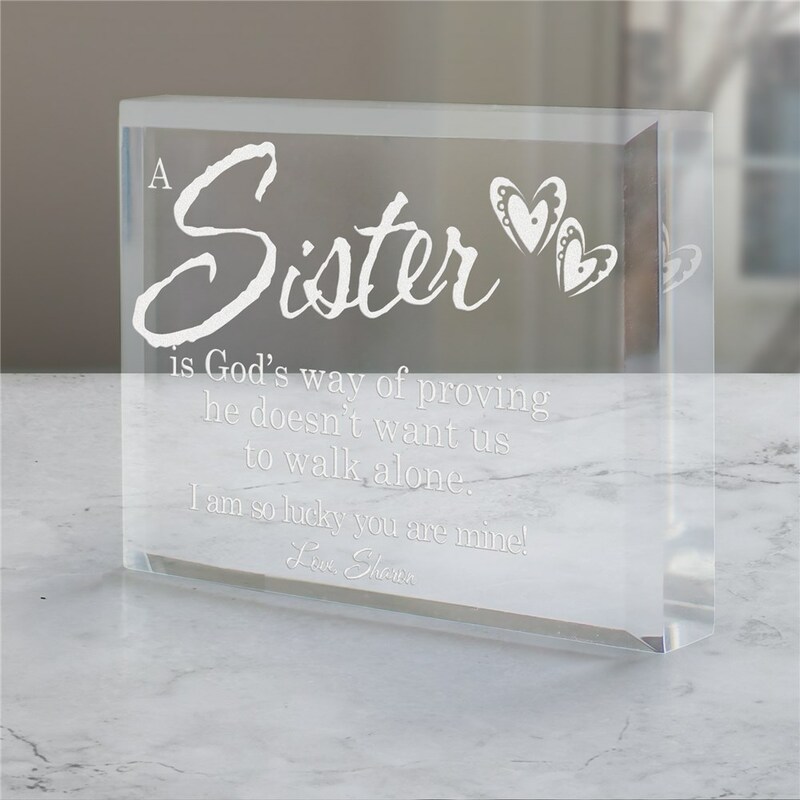 Express your love for your sister by giving her one of these beautifully engraved Personalized Sister Gifts. Engraved with "A Sister is God's way of proving he doesn't want us to walk alone. I am so lucky you are mine!, these Gifts for Sisters and Sister-In-Law gifts also include free personalization of any one line message. This was as beautiful in person than it was on the computer screen. My sister loved it!!! It is the perfect way of telling some one you care.